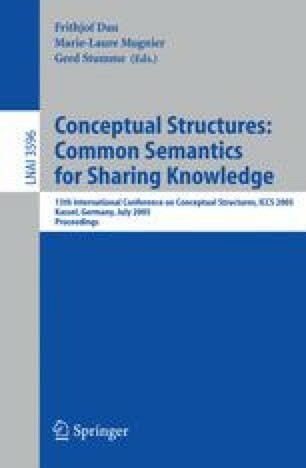 The lattice of theories of Sowa and the formal concept analysis of Wille each address certain formal aspects of concepts, though for different purposes and with different technical apparatus. Each is successful in part because it abstracts away from many difficulties of living human concepts. Among these difficulties are vagueness, ambiguity, flexibility, context dependence, and evolution. The purpose of this paper is first, to explore the nature of these difficulties, by drawing on ideas from contemporary cognitive science, sociology, computer science, and logic. Secondly, the paper suggests approaches for dealing with these difficulties, again drawing on diverse literatures, particularly ideas of Peirce and Latour. The main technical contribution is a unification of several formal theories of concepts, including the geometrical conceptual spaces of Gärdenfors, the symbolic conceptual spaces of Fauconnier, the information flow of Barwise and Seligman, the formal concept analysis of Wille, the lattice of theories of Sowa, and the conceptual integration of Fauconnier and Turner; this unification works over any formal logic at all, or even multiple logics. A number of examples are given illustrating the main new ideas. A final section draws implications for future research. One motivation is that better ways for computers to integrate and process concepts under various forms of heterogeneity, would help with many important applications, including database systems, search engines, ontologies, and making the web more semantic.